Cleveland MS held its annual food drive. Collectively, students & staff brought in over 400 items. All food will stay local. Thank you to all who donated. 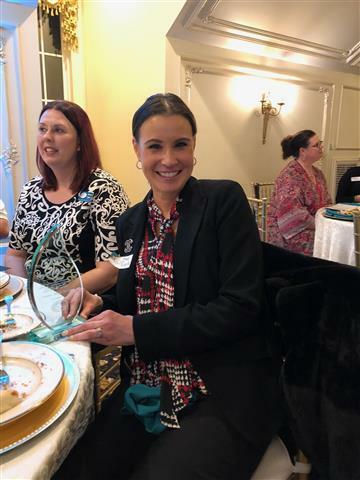 Congratulations to Mrs. Ricapito who was named Greater Cleveland Chamber of Commerce Teacher of the Year! Mrs. Ricapito has been teaching for 21 years. She teaches AVID, an acronym for Advancement Via Individual Determination program. This program prepares students for college and career readiness and success. One hundred thirteen middle school students representing 12 middle schools in Johnston County participated in the annual JCPS MATHCOUNTS Competition on Jan. 17, 2019. 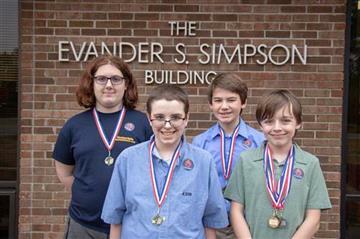 The Cleveland Middle Pi-thons were the team winners. Pictured on the front row (from left) are Cleveland Middle students Aidan Peek and Jackson Dunderman. On the second row (from left) are Cleveland Middle students Denver Huffman and Billy Hopkins. 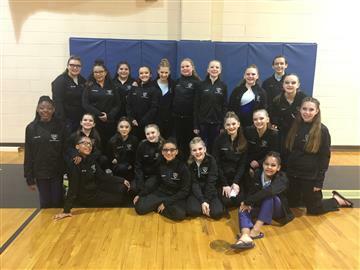 The CvMS Winterguard students had never competed in competition before the Atlantic Indoor competition at Holly Springs High School on February 9, 2019. They received a 1st place finish, and their next competition will be at Apex Friendship High School on February 23rd. 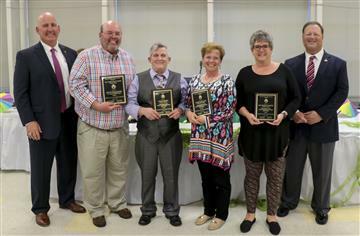 Steve Pleasants of Cleveland Middle School was named the 2018 Johnston County Public Schools Adult Volunteer of the Year at the annual PTA/PTO Council Meeting Banquet, held at Smithfield-Selma High School. Online applications located here for free/reduced lunch.